The Life Of Faith: How do you seek God? My hubby and I like to make a habit of praying together before we go to sleep. We started our marriage with a foundation on Christ and prayer. Maintaining that isn't always as easy, but it is always worth it. I am so thankful to have a husband that loves Jesus and cares about my relationship with Jesus as well. Last night as we were getting ready to go to sleep, I asked that he pray for me to be more passionate about seeking God. It seemed like a simple request, but as I thought about it more this morning...not so simple! Seeking God is so relative to each person. To one person, it may mean a few minutes spent in the word each day, and to another it may mean an entire day searching the scriptures. So what does it really mean to seek God? As I did my morning devotions, I came across this verse. ...acknowledge the God of your father, and serve him with whole hearted devotion and with a willing mind, for the Lord searches every heart and understands every motive behind the thoughts. 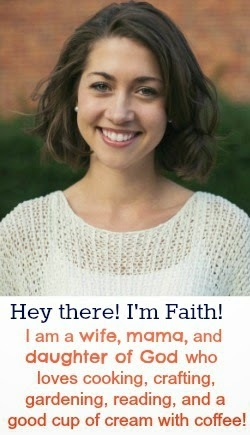 If you seek him, he will be found by you; but if you forsake him, he will reject you forever. 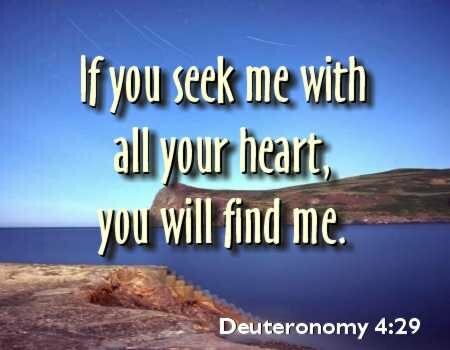 We are promised that if we seek the Lord, we WILL find him. So I began to ask God to show me how to seek him. What does it mean to serve him with whole hearted devotion? and if you call out for insight and cry aloud for understanding, and if you look for it as for silver and search for it as for hidden treasure, then you will understand the fear of the Lord and find the knowledge of God. I have always tried to take the fast lane to seeking God, and not really put in the time and effort that it takes to gain the knowledge of God. If I was searching for God as for hidden treasure, He would be consuming my every thought, I would be passionately reading the Bible and spending my time in prayer. I pray that this becomes my heart, that I begin to value and search for the knowledge of God as if for hidden treasure. It's a treasure hunt with a promised reward! I've been quilty of the fast lane before. I agree with you it's def. a treasure worth seeking.